UPDATED: Fri., Jan. 25, 2019, 9:14 p.m.
FARGO, N.D. – An arctic blast spread painful cold across the Midwest on Friday, closing schools, opening warming centers and even intimidating ice fishermen in a taste of the even more dangerous weather expected next week. 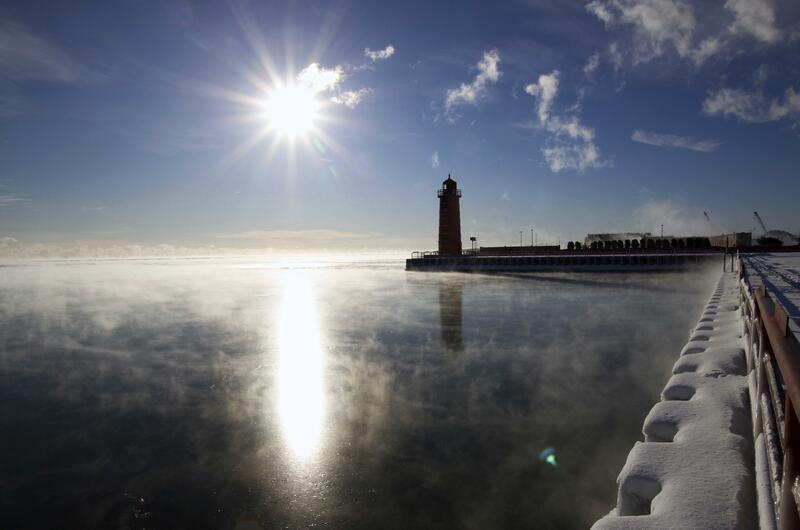 Forecasters called it a replay of the “polar vortex” that bludgeoned the U.S. in 2014 – and maybe even colder, with wind chills by midweek as much as 45 below in Chicago. When the polar vortex plunges into the U.S., it will be warmer in parts of the Arctic – Greenland, northern Canada and Alaska – than in Chicago and Minneapolis, meteorologists said. Ice fishing guide Bryan Lang acknowledged that extreme cold was part of his job in northern North Dakota, but he said he felt lucky to have taken Friday off work: the morning temperature was negative 21 degrees with a wind chill of minus 42. The low temperatures also forced the cancellation of events in the Fargo Frostival, a celebration of winter activities in North Dakota’s largest city. Organizer Charley Johnson joked that the Undie Run will go on Saturday as scheduled, but that long underwear was encouraged. Published: Jan. 25, 2019, 12:58 p.m. Updated: Jan. 25, 2019, 9:14 p.m.